In a climate of increased interurban competition cities of the Global South are joining the drive to fashion themselves as tourist destinations. In search for an adequate profile that puts them on the global destination map, many of them attempt to recapitalize their urban, architectonic and social heritage to meet tourist’s and tourist operator companies’ expectations. Together with the continuous rise of extreme social and economical disparities, this exacerbates the conflicts and challenges for historic cities, but also comprises an untapped potential. 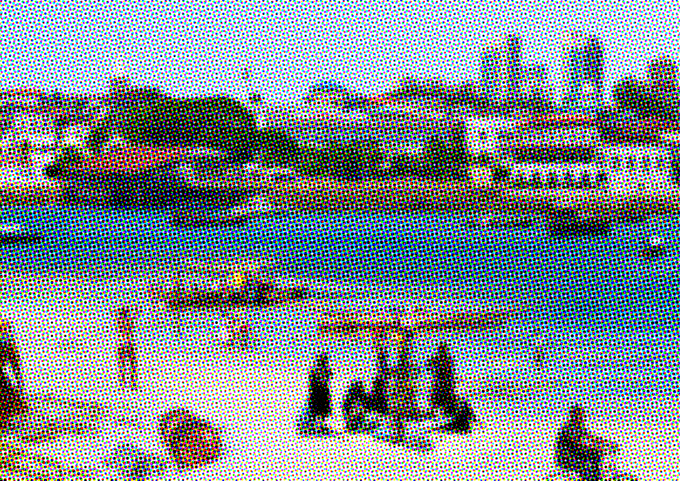 In search of urban, architectural and programmatic strategies that could help to promote an integrated vision for Zanzibar, we assembled a diverse range of inspiring international best practice examples. Their community- and urban culture-based agendas indicate how tourism could benefit visitors and hosts alike as well as contribute to a larger sustainability agenda. Together with a portrait of the urban and architectonic potentials of the UNESCO heritage site of Stone Town in Zanzibar with regards to its growing touristic development, this palette of innovative and inspiring international best practice examples were the central elements of the exhibition. Collage Detail. The image emphasizes the conflicts and challenges for Stone Town.